It’s already in Google Play. As usual, I want you to test it a bit on Android before I publish for other platforms. This entry was written by Kaalus, posted on December 10, 2016 at 21:14, filed under Uncategorized. Bookmark the permalink. Follow any comments here with the RSS feed for this post. Post a comment or leave a trackback: Trackback URL. Hey All, for those like me desperately waiting for the release to our platforms here is something to keep you busy…..
Just uploaded ‘Captain V Adventure’ an SC world, It is a adventure keeping to the true spirit of SC. You are Captain V, your journey begins on a burning ice locked Ship, You must escape the Ship then attempted to travel 7KM through the often treacherous SC world to get to Port Gabriel in order to get home! The journey entails many puzzles that can only be solved through your mastery of your Survival Craft skills. Never for SC. The Google approvement process is so quick that iOS gets the working version quicker by doing it this way. I don’t have any problems with furniture naming. Amazing work here. I’m overwhelmed by possibilities. I can’t wait to see some community content on what others do. Windows Phone and Windows versions of the game will be submitted once most of the bugs on the Android version are fixed. Kaalus, ive found a very annoying bug, when you tap on an item in your hotbar, and likely inventory aswell, it gets the red out line for when you want to split the stack. This is very dangerous when being chased by animals because when you try to get your machete but it gets outlined but does not select. Please fix! I also noticed this bug. I can’t reproduce that, what device are you running it on? Samsung galaxy tab 4, its a large tablet so im pretty sure its not a miss tap or something. After 20 mins of playing challenging it was extremely annoying. Can you please check if you have “Maximum Tap Duration” slider in Settings/Sensitivities set to minimum? I can reproduce it kaalus, fill up you quick slot bar with items and have an item in your hand hard seleted, so dark gray in the quick barslot then press a direction key and select the item next to the dark gray one at the same time, the item your currently holding is now red selected for splitting. It’s probably something to do with the 2 finger touch. I’ll email this to you as well. My tap duration was in the middle, i tried to set to minimum but didnt work it seems. I have a similar bug, where slots will get highlighted red when they aren’t supposed to, and didn’t in 1.29. Will it be available for iPad/iPhone before Christmas? I love Survivalcraft, and have been waiting for the new upgrades? You know, since survivalcraft 2 is its own game, it would have been nice if you implemented the feature people have wanted from the beginning (Multiplayer), instead of adding more content that could have simply been put in normal survivalcraft. I had $2.01 in my account!! Just enough HOORAY!! Thanks dude, Any Amazon or Windows release dates? Awesome work. The update looks incredible, but I want to see the full changelog please. Ok how do i delete the furniture that i added to the furniture list? Also, Waiting for iOS and Windows 8.1! You can’t delete it. It will delete itself once no more instances of the furniture are in the world as blocks or as items in inventories. I found a way to delete furniture, you can move the furniture you don’t want to a new category, and then delete that category. Will iOS users still get the discount, do you think? Kaalus, can you add a change log for 2.0 ? Congratulations on your new release, Kaalus. Now for some questions. Please do not take this the wrong way, but why are we being charged for Survivalcraft 2? 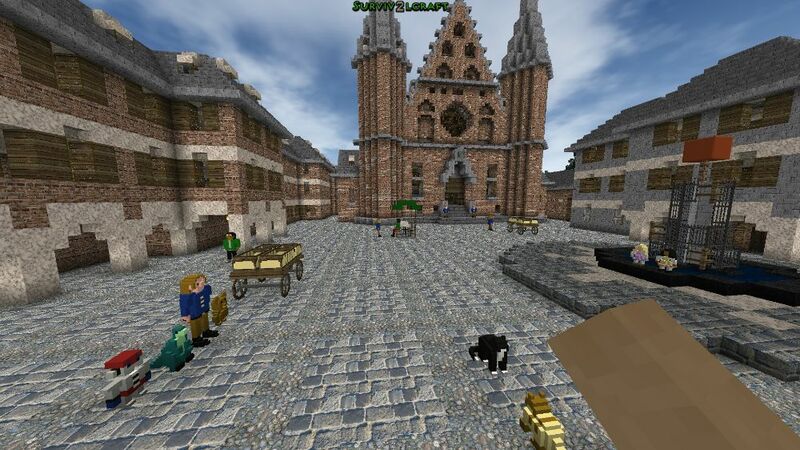 If we already own Survivalcraft, are we grandfathered in and only new comers pay the price? Usually when we pay for the next in a series of games, there are massive makeovers, or massive enhancements to everything. For example, Higher graphic quality, new story line, and remodeled skins to name a few. I love Survivalcraft, and have purchased it for a few of my devices. I just cannot fathom, while not expensive, paying out another $1.99 for what looks like the same game. It has been some time since following this game, so please bare with me. I am sincere in my questioning, and do not mean to offend. Just curious. Have you not read how much he’s added? If you don’t want to buy it so be it but he has massively improved the game with this update. While it is true that it still lacks multiplayer, it is a very difficult job and he is a one man team. Imagine, he alone has surpassed minecraft PE, HE ADDED WAYS TO MAKE FURNITURE. And if you don’t care for the new improvements, then just play the old one. You do have to remember updates stack. Therefore in a few years it will without a doubt be worth it. when will it be available for windows 8.1?? Bought it! I wasn’t really planning on getting the Android version because I wanted the Windows 10 version. But I just can’t resist it! I hope we’d get a promotional introductory price on Windows 10 version too. Will definitely buy it once released on Windows 10 in any case tho. On the iOS version of the game, there are no stars at night. Also, on ALL platforms, when your X and/or Y-coordinates reach zero, you clip and fall through the terrain. Last, but not least, I am super happy that Alpha 2.0, also known as Survivalcraft 2, is released on Google Play!!!!! Also, on iOS version, please make Survivalcraft 2 require iOS 7 or later. Thanks! I think he is more bothered about the 2.0 realise ATM, plus why do you want iOS 7 or later ? Also, It doesn’t have to require iOS 7 or later for the iOS version. It is up to Kaalus. I know, I am talking about the bug from the latest version on that platform. don’t interrupt me please. I am talking to kaalus. why would i buy the game again? its the same game just with the new update?? does that mean survival craft 1 is not going to get updates any more and is a waste of money? So all the hours of fun are suddenly wasted? You can’t be that hypocrate! I found this phone on the street. i think that says a thing or two about my current non-existent bank account currency. I’ve been following this game for four of its five years and I have seen how Kaalus operates. He is always fair. I am sure each operating system will get a discount for the same length of time as the others. So if iOS takes a while to get approved, he will likely extend the discount beyond the date when Google goes to full price. I’m downloading it now. I wish, in the future, to see the female counterpart added. I think it would be fair if female clothes, a female option, and a female voice were all added into the game. Kaalus i’ve found a bug … i cant fuse the incendiary big keg with button also switch ? Indeed it’s a bug, thank you! What is the block limit for making furniture? I’m busy for the next 6 months sorry family. How about amazon? That’s what my family has. Amazon version will be submitted once most of the bugs are fixed. At least we get a “Almost No Bug” version. Will android have to pay $3.99, or will you raise the price after Android gets it? Can’t do it easily with MemoryBanks because of the internal implementation that predates 32 bit blocks. I’d have to rework it completely. Sometimes when using pistons the wooden part turns invisible, pushing/pulling furniture will make it diss appear sometimes, and the red outline to split stacks is very sensitive now. Oh, and bison more times than not spawn by themselves. I’ve only seen on heard. Also, you can paint light bulbs. Most ores and the marble have a new texture. Does the hue on the light change with the color of the bulb? 2.0 isn’t in Update History yet. Will be submitted once most of the bugs are fixed. Disculpa kaalus el tiempo de aguantar la respiración bajo el agua fue aumentado?? Also, can the hammer be used as a weapon? Alright, twice in one post is enough already. id like to agree with bones, but kaalus does need to fix it. Im sure he’s seen the first 2 million comments, no need to make 200 million more. The sky has been reworked. Now can you shut up and assume that it was fixed? What I was saying was for iOS version only. Also, 2D models and bows need to have graphics for iPhone 6, iPhone 5S, and iPad Mini 2 to be fixed. Again, I was NOT talking to you! No, while it has 1.5 of Melee Power, Hammer Cannot be used as a Weapon. iOS will be submitted once most of the bugs are fixed. Whenever I want to make a furniture, it told me that the furniture is too large. Why? If the furniture is touching valid furniture blocks, they will be counted as part of the furniture, likely resulting in this error. Move the furniture away if this is the case. I made this mistake when creating my furniture world, I made it out of stone. So now I have to build all of my furniture a block above the ground. I think I found a bug. I had a bunch of cooked ostrich eggs in a crate, and in Survivalcraft 2they turned into cooked bison spawned eggs. This was on one of my challenging survival worlds. I cooked more ostrich eggs, and could not reproduce the glitch. It was an update glitch. He changed the number for the ostrich egg and the bison. There isn’t anything to fix. You’ll just have to ignore it. Kaalus you should have a pole of 4 different animals for then next update? which ever animals when the poll could be in the next update? A poll for 4 different animals. Unless he puts in a really good-good-okay-meh set of animals, it would be chaotic and unfair. If all 4 were really cool, or if atleast 2 were equally cool, then people would fight over it, and kaalus would have no choice but to add them all in. either that or he’d have to put one in, and his fanbase will topple, and he will most likely lose half of the people who wanted the other animal. also, its not that good of an idea to focus on adding more animals, when he just merely finished adding furniture, sea creatures, a bison, and all those other things. Its best to just add to landscape, or introduce smaller animals. Something easy like mice or rabbits or maybe insects even, would be nice for gameplay. it’d also be cool if the player had a female option too, for female players of course. That goes for character, clothes, and voice. And a last thing would be radiation, but thats more of a thing that should be added in waaaaaaaaaaaay later on. Anyways, since furniture was added, 3 years ago i mentioned mirrors. A mirror to go with furniture seems most proper at the time, right? or if it could be substituted by a prism and different colored light lasers, that’d be cool. The update is Amazing! So many little changes, like the ore textures. But my favorite is pistons! Kaalus, you done it again! Still waiting for a Amazon update or PC update anyone else waiting? Actually, in 2020, iPhone 9 will come out. 2017 will launch iPhone 7S, 2018 will launch iPhone 8, and in 2019, iPhone 8S will be launched. Amazon release ASAP please!! Can’t wait! Kaalus,after I hit on my furniture pack and hit export,does it instantly go? Did anyone notice the and more? At the end of the added list and I can’t wait to buy this game on iOS!!!! Were did you find that? Well, the list didn’t have every feature (I don’t think it had ladders), so it is probably referring to the features which were not mentioned. Oh right. Quick question, are belugas the same as white tigers and whales? And im pretty sure i spotted a crocodile in an earlier post. hey,i am a loyal fan and have followed your blog since 2013. I want the discounted price on survivalcraft 2 but i dont use a device the caries google play. When the game is launched on other platforms will they be at a discounted price for a while? If it’s not too much trouble, could you please add a white background in the shape of a circle to the survivalcraft 2 app icon? This would fit better with the new android 7 icon style and differentiate it from the original survivalcraft icon. It already has a green glow around it, which the first didn’t. I really don’t like the “modern” button/icon style anyway. What is the name of the game character? Hola kaalus en modo supervivencia cuando uso el martillo me cosas infinitas, creo que sería bueno que no pasará eso, ustedes que piensan?? Anybody have a clue, why did everytime i make furniture. It is becoming so small ? I make a bed, and its just 1 block wide ! -Make food is scarce: The longer we live in game, the scarcer is the food like animals’s meat. We must grow ryes and pumkins for food(but it takes longer than now). You can add more types of trees and plaints in game, and fruits or can-be-eaten plaints and cannot-be eaten ones. That makes us don’t feel boring because we always have to find food to eat. I usually get bored after 40-50 days game because my food chest is full of food and they are enough for me in months. When i’m running out of food i just have to kill animals around my house the next day there are cows and bulls respawn. -make the character ill: When character being wet for along time. There will be a chance he going sick. When the character ill, he runs slower than normal and get tired quickly, he feels cold and lost health points if continue working. – electric generator: How can electric circuit can work without it? I like how stones skipping on water is at the top of the list! How many people here didn’t know that was a thing? That isn’t new, I don’t remember when it was implemented, but I’m sure that was possible to do it for years! I know, it was added around 1.18 I think. I’m not sure though. Just checked, it’s 1.5, much earlier than I had remembered. Piston cant push chest and dispenser ?is that bug ?i thought piston can only blocked by diamond block . I don’t think that’s a bug, but rather a feature which needs to be implemented. Kaalus needs to make it so pistons can push block entities. How to make a door which its upper part is different from its lower part? Can someone show it to me. You have to build the top and lower part separately then when you get two bottoms and two tops make the bottom two state and the top two state. Then you put the top of the door and the bottom of the door in a crafting table with a wire. Then they will be connected. Then just place it like a normal door. Lag lag lag. There’s just lag everytime you break a block or plant a new one. Hi fellows! SC2 is the thing that I have no words to describe me happiness! Kaalus- uA*the_BEST! Where to find original textures for modifying? I don’t know if is a bug or something of international. Electric Wires can be painted with all 16 colors available, but in creative inventory only a few colored wires are in the menu. For example Purple Wires and “Light colored” wires doesn’t appear in the creative inventory. Huh. It’s strange that these wouldn’t be in creative menu. Cool! We are looking forward for a Windows Phone version. I know..but what’s cc ?? I think I found a bug: while you’re on a boat, your body temperature drops as if you are swimming. Give me your money pllss! i have no money ! Buy my game again! Stop being so petty, if you don’t want to but it then don’t f*cking buy it. Kaalus needs to live off of something to you selfish prick. 2) I Wish that there was a couple of statistics that involves Fire like number of blocks set on fire and number of animals burned. 3) Kaalus, Could you please update the Files/Technical section of the forum with the new Block Texture? Thanks! It’s easier to use switches rather than buttons. When it comes to pistons unless you’re using one push piston leave the buttons alone. switching the inventory categories now has no loop. It ends with user. After that you have to click back each time. Also speaking of categories: It would be awesome to have an option to have the “arrow-buttons” for changing categories on the bottom instead on the top. With a big screen it is quite difficult to reach the top buttoms with thumbs. Furnitures, however, will be not extended to more than 9 states. Crafting 9-state furniture with another 8 parts or less will only override the other states and will leave the original first state included in the furniture. How to make an elevator by pisstons. I can not control them. This may be a bug, but kelp is spawning in lakes, that are supposed to be like fresh water and kelp does not grow in freshwater i believe. I wonder when Kaalus will release the full changelist for the new game, so we can see the full list of features added. Are you saying you can combine two two-state pieces?! There seems to be a problem with the blog. My previous two comments are still awaiting moderation, despite having been posted a couple of hours back. I wonder what’s the problem. The game crash when I open it! Why?! I know, the door looks really weird, but it works! Don’t forget to use the crafting table, craft the two furniture pieces with a wire and everything is done! To be perfectly honest. Im a little dissapointed. I looked at these new features in awe waiting for it to come out just to find out that i have to buy a whole different game. I mean i realise that kaalus needs funding but that is a dream crusher. I dont have any money on me right now to buy it and that dissapoints me even further. One thing: Pistons need to be “cheaper”, 45 Germanium for one piston… Still going to live in the middle ages cause it’s “cheaper”. 3) Semiconductor needs to be quarried with a pickaxe to be be broken then how the wire trough version required an axe to be broken? Do you have any idea of how to get the app? Everything is so much more detailed now, the possibilities are virtually limitless! Lovely figurines! If your screenshots are too low resolution you can change screenshot resolution in Settings/UI to FullHD. I’ve found that SC2 uses less battery than MCPE, even with lots of furniture and pistons. Also, Lightbulbs dropped on the ground don’t appear to be textured on the back. I’m waiting for the Windows version too. I hate playing on my phone. An Android tablet might be a good in-between solution, (between a PC and phone for playing Survivalcraft) I use an 8.4 ich screen myself, this screen size is quite manageable, perfect actually for Survivalcraft! And tablets getting cheaper everyday. 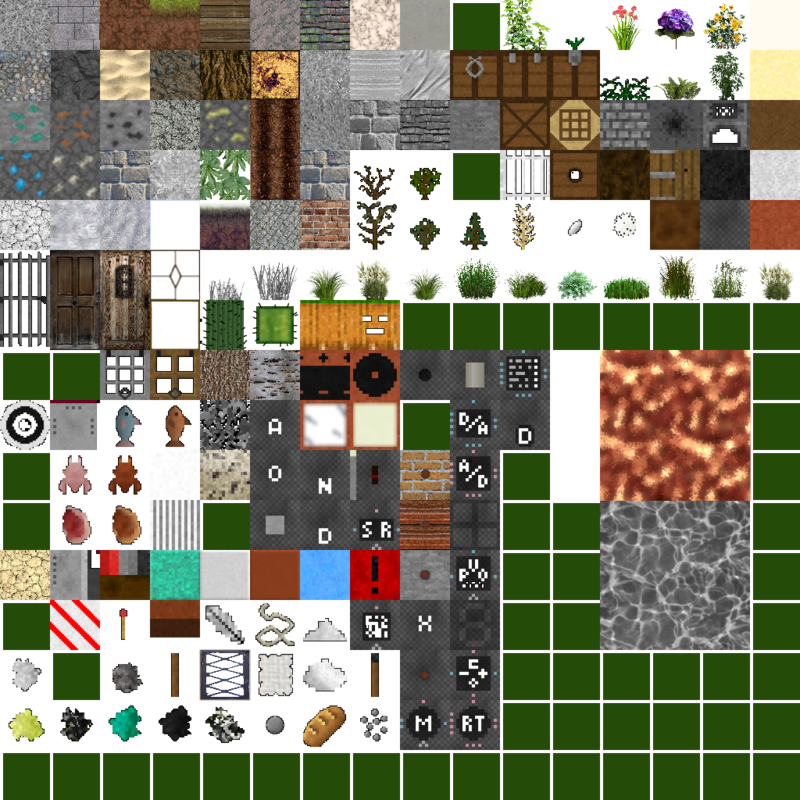 Ah, hi there, thank you for your interest in the texturepack! I just noticed a typo in the comic though, lol! I also made a pluche doll pack for use with the new update, (8 pieces) which can serve as decoration. The point of android getting it first is so we can report the bugs so that a good version can be submitted to iOS so the lengthy Apple review process only has to be gone through once. I propose to fix a bug with the disappearance of the items under the graves and add a button to change the weather. A weather button for creative would be nice. Items in graves shouldn’t be disappearing – if the wiki is correct, graves use a special “treasure block” which generates the grave contents when broken. I’m having a strange bug with pistons. I have 4 furniture pieces containing painted blocks, each on top of a vertical pull piston set to extend 4 blocks, and pull 1 block, at slow speed. The pistons will work fine, pushing/pulling the furniture. However, as soon as I use paint stripper on the furniture to un-paint it, the pistons will completely glitch out, extending at the wrong speed and turning invisible. This will continue until the pistons are replaced. I’ve figured out that it’s not the pistons turning invisible, but the furniture. It becomes a full, solid block which can be broken and obtained into the inventory. Looks like we have invisible walls for adventure maps now! Could someone please expoain to me how to upload a furniture pack to community content? Ive never published anything there before so help would be appreciated. Hey kaalus can you email you I’m the leader on Instagram for survivalcraft accounts and I would love to discuss ideas with you I have so many and we could talk about them. I hope you can get back to me as soon as possible I can’t keep me from being excited with the ideas I have @breyerdelight@gmail.com thanks! I exclusively play this game in challenging and cruel modes & I think Kaalas really needs to go back to the roots. I love having the ability to change the starting sea level/temp/humidity, however there are a few things that make this game nearly unplayable. The first and worst for me is the animal spawning. Day 1: I spend the day alone on an island. Night 1: It is full of lions, tigers and bears!!! So lame! I wouldn’t care if the whole island where cluttered with bears from the start, but don’t spawn them at sun-down just due to lazy programming. The other thing i’ll mention is food sources. With such an otherwise detailed game how can this be so lacking in a survival game? Pumpkins, Birds, Boar, Cows, Moose, Rhino and now buffalo. (bread later on) Why not fruit/vegetables(besides pumpkin),abundant small mammals (rabbit), fish!?! Funny how a moose will never spawn near me at night. I understand that I am in the minority by playing from a survival perspective and Kalaas is likely catering to creative players who build amazing things that get shared as seeds. It seems logical however that with a name like Survival Craft you should fix these basic flaws that are exposed immediately and in my case, ruin the experience. You can get fish for food, but only a few kinds. Predators hunt you at night, smelling you from long distances, they dont spawn there all the time thats why herbivores like cow and moose are not there in the morning. BUG. Lookso like the AND and OR gates are acting up and not outputting the correct logic. Example: no power to either sides of the AND Gate produces a logic True (power). Tested on S7, J7, and Note 3… on both new and old maps. It appears that all previously placed gates work fine from 1.29. I’m kinda sad that it’s not an update… but it looks AWESOME. I just have to wait until my mom gets money on her card… or I can wait until my cousins or aunts/uncles give me a giftcard or something for Christmas. I hope the discount lasts till Christmas day! Really digging the furniture tool, definitely takes some getting used to. Just out of curiosity, is there any master list of blocks that can be used with the hammer??? Please add option “disable autosave”! Flash memory is not immortal. Let’s hope it’s released for iOS before Christmas, It’ll make a great gift! Could you please change the creative menu to have sub-headings, by color or something? It is very hard to find what you want sometimes, like the cavalry boots in the first edition of the game were hard to find. Can you make them by color, make like separate color buttons to find the color you want quickly. This game is very cool and I love it, I would love to see it grow and change. Paid the 1.99 for it and have the first survivalcraft but there are lots of glitches on kindle fire and not real impressed with 2.0 why couldn’t this have been added to the original version. Unless you are in creative mode not really seeing anything to brag about there aren’t any new land views that I have saw and fewer animals like the wolves. Just not impressed. The forums at survivalcraft.lefora.com now has a furniture thread. I never thought I’d pirate something from you, Kaalus. 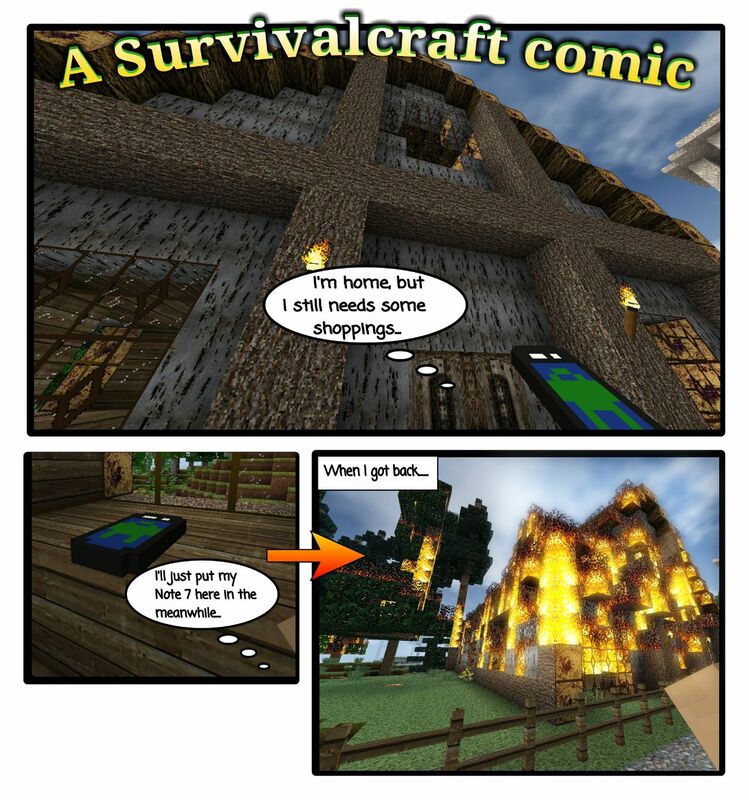 Survivalcraft was the first game (and app for that matter) I bought on GP, after all. But here we are. You practically made the previous version unusable, since most of the top Community Content doesn’t support it now. And you haven’t even published a 1.29 -> 2.0 changelog, for that matter (or am I missing something?). So users should just believe your words that it is worth buying it again? So I downloaded SC 2.0 love the new features, the furniture is great love creating my own stuff the possibilities are endless, although I did come across a bug where if you use too many pieces of furniture the game glitches out to where u can see through the ground at all the biomes and lava pools it really ruins the build. If I could post a picture I would. Also emailed candyruffus games about it with a picture. Has anyone else come across this. BTW I lowered all the performance settings to bare minimum and this still happens. I’m having this same problem with a world I brought over from the previous version. After placing quite a few furniture items (and I am nowhere near 1024 unique items) I see distortions in the world & some items disappeared (although there is still resistance – as in I can’t walk through that place where a window used to be but the window isn’t visible anymore). It’s really annoying. The only way to get rid of the problem is to go back to the original version of the world before I placed any furniture. Can I move my 1.29 worlds to survival craft 2 through the community? Or will they not work anymore? You can bring them over from the previous version. Hi, awesome game. I have one request/question. Is it possible to incorporate drive train components? I would like to drive my megatruck or rock rod that I built in my world. Hi! I’m a really big fan of Survivalcraft! I think if you would add Multiplayer it would make your game so much better!